The Exit Bee Website Key is a unique identifier of your website, therefore will be different for each website you add. 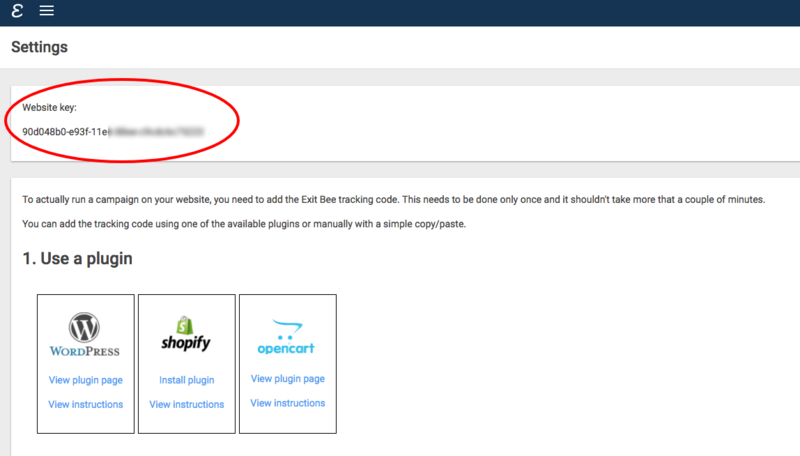 It is used mostly as input in various Exit Bee extensions and modules for popular platforms such as Wordpress, Magento, OpenCart etc in order to automatically install the Exit Bee tracking code without you needing to manually add it. Open the left navigation and go to 'Website Settings'.